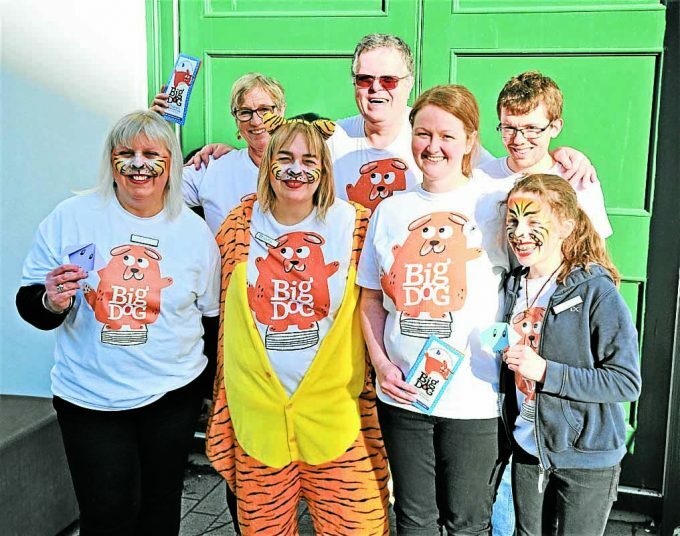 AUTHORS and storytellers will be enchanting young visitors with their tales, pictures and all sort of exciting activities as Big Dog Children’s Book Festival returns to Dumfries this weekend. Now in its third year, regular visitors to the festival will recognise Big Dog almost immediately. Named after Nana, the canine nanny in Peter Pan, he’s big and friendly and loves reading so much he wants to share the joy with children and their families. The Theatre Royal will once again play host to many of this year’s events, with others taking place at the Robert Burns Centre, Dumfries Museum and Moat Brae. For teeny-tinies, amongst other treasures, A Song for Bear by author Gabby Dawney and artist Alex Barrow is sure to be a hit, and Julia Jarman will explain why bathing in her Big Red Bath is like no other. All-time favourite authors Anne Fine and Cathy Cassidy will both be making appearances at the festival, as will Scotland’s Children’s Book Award winner Ross Mackenzie. Anne, who will be in conversation with children on Saturday, said: “I’m really looking forward to coming to Dumfries and the Big Dog Festival. “Nobody quite understands what it is about meeting a real, live author that turns so many young people into more passionate readers, but teachers, parents and librarians are all agreed that it works. Meanwhile, Paddington Bear will appear on the big screen to get the weekend off to a great start, celebrating 60 years since he first appeared on the printed page. The story centre at the Theatre Royal will be the place to drop into all weekend, and creative workshops hosted by some wonderfully inventive artists will offer opportunities to get hands-on in book making, drawing and mono printing. A multi-sensory adventure session will enable children of all abilities to join in, not just with the written word, but with props, smells and songs to take stories to another level. There will be a change to decorate a dog biscuit, and a Scots workshop where some wellknown tales will be read in Scots, along with the possibility of discovering some new Scots words. And talking of words, Big Dog is very excited about a translation event in English and Arabic that will feature Big Bill the Beltie Bull, extending access to non-English speakers. Wigtown Festival Company, who run the event, are delighted with this year’s programme. Programme director Anne Barclay said: “Children and their grown ups can look forward to stories, songs, film and making over the long-weekend event. For more information call 01988 403222 or visit www.wigtownbookfestival.com.